So me and my buddy Claim Solaris, where in town today. Just chilling taking it easy. We grabbed a “fika”, which I’ve never done with him before! Well its the first of many times. And it was really nice and it was raining. I loved it. 4 responses on The catch of today! Hehe im so happy they had ES left for you too. And man…. 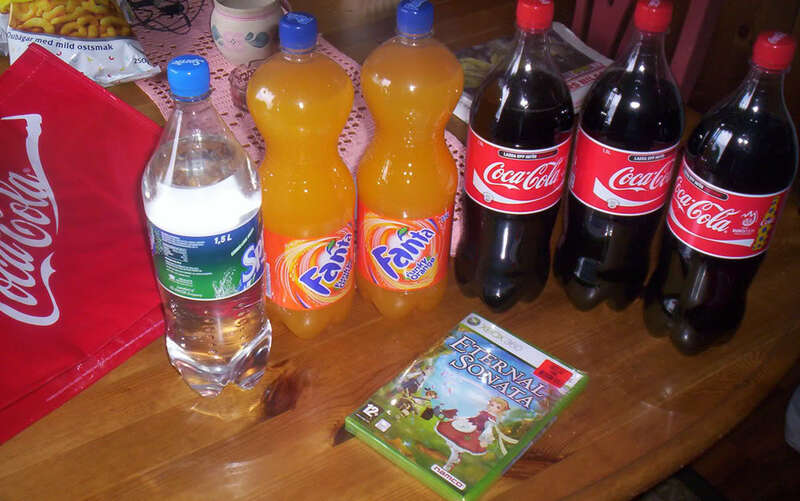 if you drink all that cola and fanta to quick you will get the sugar rush of this millenia, please be careful :O.
Yeah, I’m very happy they had one left for me. And wow, your sister is really nice! :D So happy you got it too!